Huntington Park business woman, interview, 1952. 2 images. 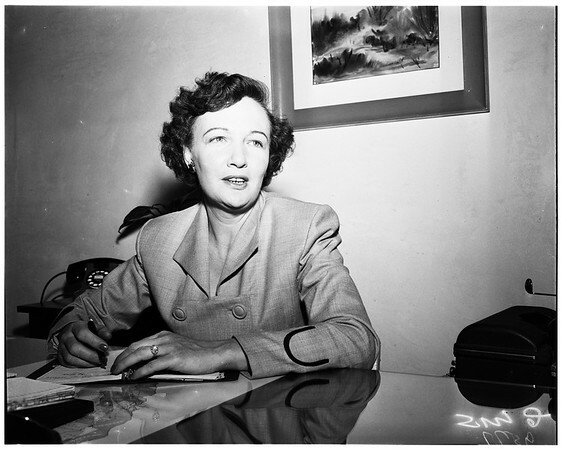 Huntington Park business woman, interview, 15 May 1952. Helen Schrank.